I just finished Rodney Stark's "The Rise of Christianity." This sociologist has given missional Christians helpful insights into the factors that contributed to the emergence of Christianity in the Western world. With the post-modern world looking a good bit like the world of the Jesus movement, these factors should inform contemporary community missions. The factors that led to the emergence of the church hold out hope for its revitalization. The church grew through social networks. The church grew through congregational partnerships. The church was a major revitalization movement following severe urban tragedies. Women were honored and their leadership gifts were affirmed. The church gave a credible testimony. The church sacrificed for the sake of Jesus and their communities. The church provided a sense of community and belonging. The church developed a massive structure for volunteerism and charity. The church exhibited a counter-cultural ethic. The church had a theological vision that changed people. Stark believed that the theological vision of the church was the most important factor in its emergence. He wrote, "Central doctrines of Christianity prompted and sustained attractive, liberating, and effective social relations and organizations. And it was the way these doctrines took on actual flesh, the way they directed organizational actions and individual behavior, that led to the rise of Christianity." The early church was made of real people. They were not perfect. 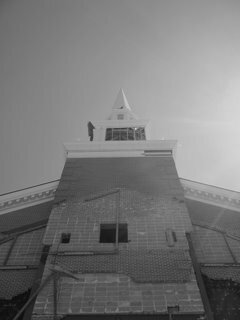 Like a broken steeple, however, they did not fail to point to God. Their example points a way for us. Steeples and spires point to the mystery of an invisible God. I believe that followers of Jesus are called to join the steeples in their humble work. Our church partners with congregations on the Mississippi Gulf Coast in the effort to revitalize the area in the wake of Hurricane Katrina. On a recent trip to Gulfport I paused at the base of the First Baptist Church's steeple. It was crumbling and broken but did its work with quiet confidence. I sensed that I had a great deal in common with that steeple. I am far from perfect and am part of an imperfect Christian community. Our flaws and brokeness, however, should not keep us from participating in the mission of God. 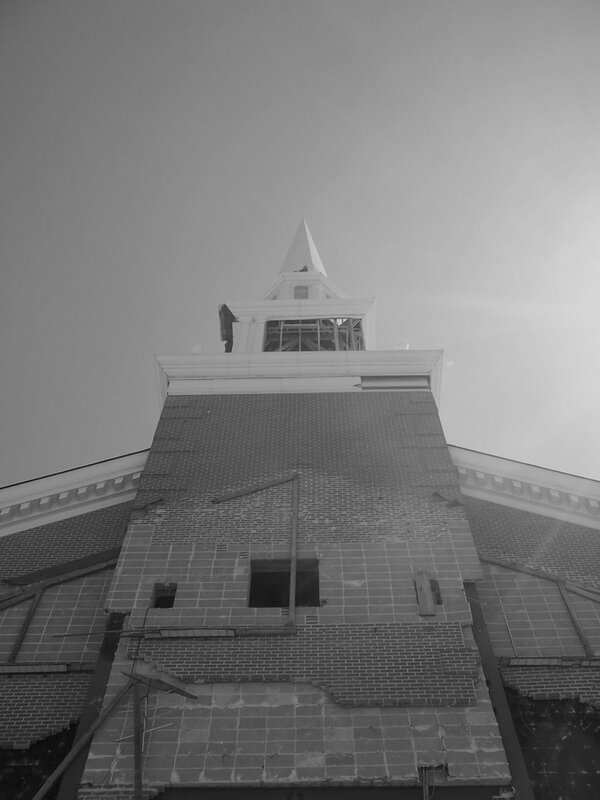 This blog site is for all the other broken steeples that are part of God's conspiracy of grace. I am glad to be part of the conversation.